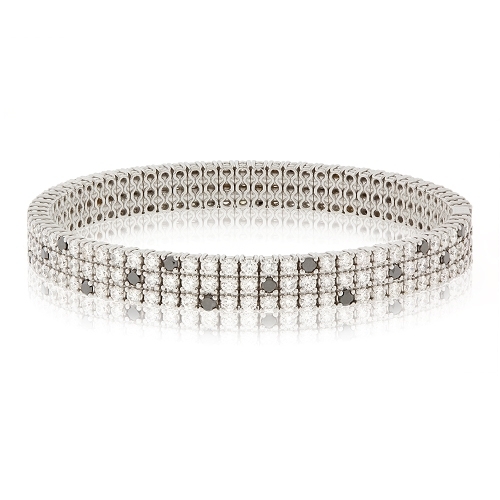 Designer Zydo bracelet designed with flexible stretch and prong set black & white diamonds mounted 18k white gold. Diamonds approx. 7.35ct.